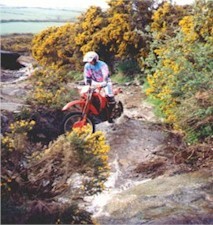 Three experienced off-road riders (Pete, Nick & Kev) formed Leisure Trail in 1995, when they recognized what a superb trail bike Honda CRM 250 was and it was not available in the UK. They imported only the best quality CRM’s from Japan and also created a large spares and accessories facility expressly to support the CRM. To complement the CRM and to broaden the business other bikes were added to the range sold, but only after the build quality and reliability had been checked thoroughly. 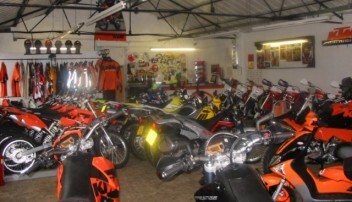 Some of these are the DRZ 400, XR250/400 and the Beta Alp. With the end of production of Honda CRM 250 we needed a Bike that could replace the CRM in terms of build quality, reliability and style. This was found in KTM’s 200EGS model. After some extensive testing of the EGS and reviewing the other bikes within the KTM EXC range we decided that they had a product that we could have confidence in. 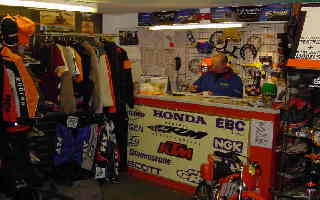 So after consultation with KTM UK we were appointed East Midlands main dealer in 1999. The best clothing and trail riding accessories are always hard to judge from many lesser products available. The range of apparel and accessories we stock have all been tried and tested by us so you know they do what there supposed to. 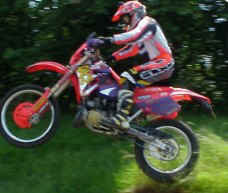 We are all still very active off-road, regularly out trail riding or competing in trials or the occasional enduro. If a new product or clothing range need evaluating what better than to get it dirty ! We now also stock the full range of Beta Motorcycles - The R450cc Enduro bike, the full range of Rev 3 trials Bikes and the Alp trail bikes.